You will want to have individual email addresses set up to use in the Whois records of your PBN domains in order to to remove any potential footprints that could connect all of your domains back to you. Forwarding all those emails to one central inbox is the easiest and fastest way to maintain and keep up to date with your domain management. 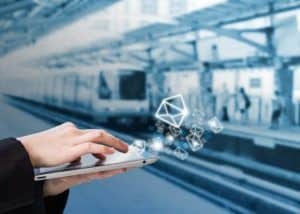 Email services that support Aliases, which are secondary addresses that come to the same inbox, are the best way to create multiple personas without the hassle of constantly signing up and managing hundreds of email accounts. After all, you will need to have a working e-mail address for each domain you register, and putting them all on the one domain is a huge footprint that you’ll want to avoid. Look no further, as we’ve done all the hard work to compile a list of popular email providers including how many aliases you get with each account, so you can find the best email services for your needs. LaunchCDN also supports setting the MX and SPF records required to host your e-mail with a number of these providers, if you would rather use a third party e-mail service than the e-mail forwarding options that we offer which are supplied via popular providers. FastMail offers 113 domains which users can choose from, while also allowing you to host email services on your own domains as well – so you can run your SEO agency’s main e-mail service on FastMail and also use alias addresses for the Whois records of your PBN domains. FastMail allows you to host e-mail for 100 domains as part of their Standard or Professional plans. First launched as Hotmail in 1996, this popular free e-mail service has been rebranded several times over the years since being acquired by Microsoft including as MSN Mail and Windows Live Mail, before becoming Outlook.com in 2012. Outlook.com doesn’t support custom domains, so you aren’t able to use it as an MX provider option with LaunchCDN. 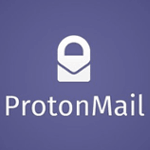 ProtonMail is an end-to-end encrypted email service founded in 2013 at the CERN research facility. The default account setup is free and the service is sustained by optional paid services. As of 2017, it has over 2 million users. The main feature that is so appealing to users is the end-to-end encryption. It guarantees that your emails are safe and can only be seen by you. You need to have a paid plan with ProtonMail to use custom domain e-mail hosting, and the level of your plan will determine how many domains you can add. Being located in Norway, Runbox attracted renewed attention in light of the surveillance debate of 2013 and subsequently experienced substantial growth. Runbox allows you to set up email aliases on their @runbox.com domain with their paid email service. The level of your plan with Runbox will determine how many of your own domains you can add to their service for e-mail hosting, although they also allow you to add extra domains for a small fee. 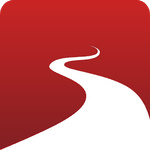 Tutanota is an open-source end-to-end encrypted email software and freemium hosted secure email service. The name is derived from the Latin words “tuta nota” which mean “secure message”. Keep in mind, there are no password resets – if you lose the password to this email, you will no longer have access to that account. To use your own domain on Tutanota, you need to sign up for one of their premium plans – and you can use as many domains as you have space for aliases for in that account. Forwarding email with Tutanota is currently unavailable. Yahoo! 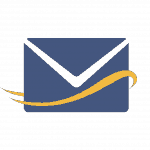 Mail, a web-based email service, launched in 1997. Yahoo! Mail provides four different email plans: three are for personal use (Basic, Plus, and Ad Free) and another is paid-for business use. Yahoo! 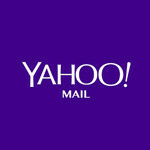 Mail doesn’t support custom domains unless you set the name servers to their Yahoo! Small Business service, so we don’t offer it as an MX option for LaunchCDN Domains. Yandex operates the largest search engine in Russia with about 65% market share. Much like other large internet portals like Google and Yahoo, they also offer a full suite of services including free e-mail. 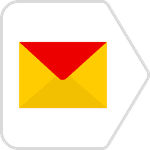 Yandex allows you to use your own domain at no charge, making them a popular option for hosting email on your own domain. Aliases outside of country specific domains (eg the same username @yandex.ru and @yandex.com) are unavailable. Zoho launched back in 1996 and is a popular competitor to the G Suite from Google, offering Docs and other services as well as e-mail for your own domain name or an @zoho.com address. You can deploy e-mail accounts for your domain for free on Zoho, which makes them a popular option. We’re always looking to expand this guide further, so please leave a comment below with any other e-mail services that you use, and we may add them to this list.